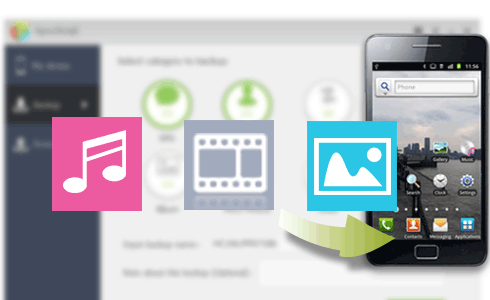 The best free Android sync tool, supporting one-click sync Android mobile data: Music, videos, photos, call logs, ebooks, contacts, messages and more to PC. Both Android App and Windows PC client. Wifi & USB Android backup and restore. SyncDroid has both Android app, as well as Windows PC client. 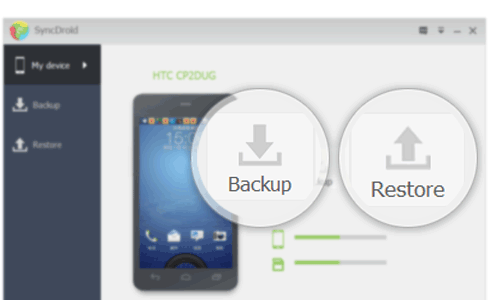 With Android app, you can simply backup and restore Android to and from SD card or Dropbox. And with the help of the desktop client, you can backup data to your PC. SyncDroid accesses your Android phone via Wi-Fi or lightning fast USB connection. You can simply open the USB debugging mode on your phone and connect the phone via USB cable. Or download SyncDroid App onto your phone and connect via Wifi network. 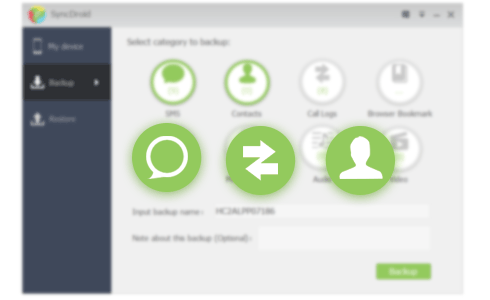 This feature allows you enjoy fast and reliable android backup and restore. • Method 1: Connect your phone via USB cable. • Method 2: Connect your phone via Wi-Fi network. Quick, free, safe and security fixes make SyncDroid the best Android Manager. No installation on Android Phone required. 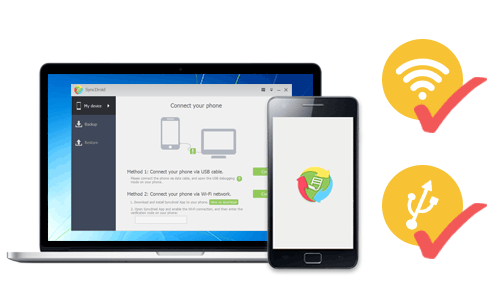 SyncDroid is what you need to back up everything whenever you want and restore your files to the same device or a new one with just a few clicks. Simply download and have a try.